Everything went Benoit Paire's way in the final of the Grand Prix Hassan II. Photo: Hakim Wiseman Joundy. Watch live tennis streams at http://www.tennistv.com. 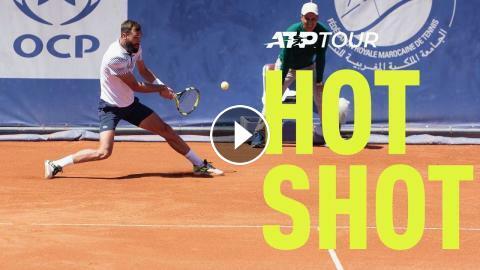 Here you will find the latest videos from the ATP Tour, including hot shots, highlights, behind the scenes footage, documentaries and more. The ATP Tour showcases the best of the best, competing in 63 tournaments across 4 surfaces, all to be No. 1. Find all the action from on and off the court right here.